Once again, the mighty Paul Krugman has linked us to some important facts about the news of the day. You know how Republicans are always yammering these days about the importance of “bipartisanship” and how Democrats need to work with their colleagues across the aisle? Let’s leave aside the obvious rejoinder about how Republicans are never willing to work with Democrats when they control both the executive and legislative branches. Let’s leave aside the eight years of Bush Jr. and how they did whatever the [very bad word] they wanted to do, laughing not only at Democrats but also the rest of the world too. So, right there in the Cabinet Room, the President put a proposal on the table, according to two people who were present. Obama said he was willing to curb malpractice awards, a move long sought by the Republicans and certain to bring strong opposition from the trial lawyers who fund the Democratic Party. What, he wanted to know, did the Republicans have to offer in return? Nothing, it turned out. Republicans were unprepared to make any concessions, if they had any to make. So don’t give me any more bullcrap sob stories about how Obama is some tyrant trying to force his agenda on a cooperative Republican party who just wants to play nice. In case you’ve never seen it, check out Jonathan Mann’s excellent song “Hey Paul Krugman”. Today I’m listening to: DI Breaks! 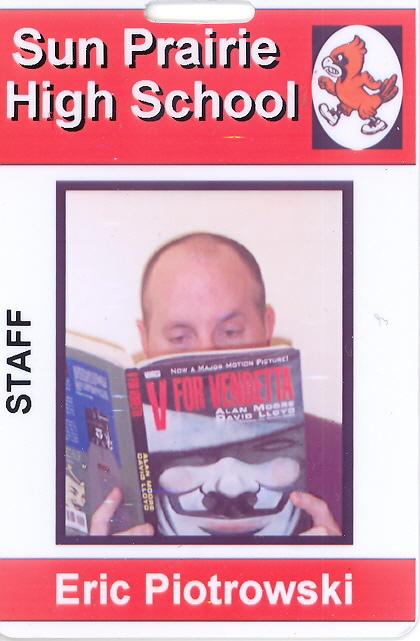 Check out my new school ID. (Yep, it’s real. No photoshopping or taping of pics over other images involved.) 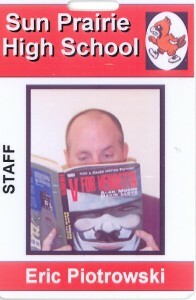 I lost my old one recently, and the school had this pic on file from a “Better Know a Staff Member” feature several months ago, so I asked if they could use it. And they did! Woo! I explained that I always have my nose buried in a book, so it just makes sense to use the pic. Some people don’t recognize me without a book blocking a bit of my face! When all this stuff with Toyota began, I remember thinking: “I’ll bet they knew about this and hid or covered up the problem.” Well, it looks like I was right. After they sifted through 75,000 pages of documents from Toyota, members of the House Energy and Commerce Committee recently announced that the company conducted flawed tests of the faulty parts, dismissed evidence about their liability and misled consumers about what was being done. Our preliminary assessment is that Toyota resisted the possibility that electronic defects could cause safety concerns, relied on a flawed engineering report, and made misleading public statements concerning the adequacy of recent recalls to address the risk of sudden unintended acceleration. It should be interesting to see how the company responds to these charges, but I’m not holding my breath about whether Congress will take any action to punish Toyota for knowingly putting our lives at risk — or prevent it from happening again. Because as we all know, regulation hurts business and you’re punishing success and blah blah blah. So what because the family died in a fiery crash that should have been prevented? Get government off our backs! A new car built by my company leaves somewhere traveling at 60 mph. The rear differential locks up. The car crashes and burns with everyone trapped inside. Now, should we initiate a recall? Take the number of vehicles in the field, A, multiply by the probable rate of failure, B, multiply by the average out-of-court settlement, C. A times B times C equals X. If X is less than the cost of a recall, we don’t do one. Speaking of Fight Club, here’s a video mashup I did with Ladytron’s “Destroy Everything You Touch”. Spoiler alert! I’ve been meaning to post this piece from Johann Hari about Somali pirates. For a while we heard a lot about Navy SEALS popping heads, but it’s important for us to know the background about that sort of conflict. I recently bought a poster of this glorious comic from TheOatmeal. And yet the students seem unimpressed — mostly because they haven’t read it. Vomiting pandas! Also be sure to check out these three superb xkcd comics. Thanks to Hannah T for linking us to Ivoryboy, who made some nifty “find the differences” games, as well as a shoot-em-up that’s worth a look. Today I’m listening to: K’Naan! 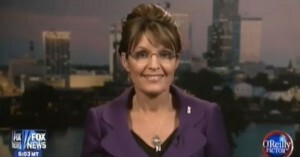 So I’m in class and I see that Palin is lashing out at Family Guy. Hey, we agree on something: Family Guy is weak and not funny! So then I went back and read in the transcript where she and O’Reilly discuss a recent New York Times piece about the Tea Partiers and the extremists who are joining them. Note how O’Reilly pretends to be objective by admitting that some conservatives are “pretty tough on immigration”. But of course they’re just one tiny element in a mostly mainstream, nonviolent, level-headed collection of red-blooded Americans. But when a group of gay people or anti-poverty black activists or (heaven forbid) feminists protest anything, he refers to them as “the far left”. For the past six months, I’ve had some wicked bouts of insomnia. Let me tell you, people — it’s not as much fun as Fight Club makes it look. I was up at 4:00 AM and can’t get back to sleep. I lie there, staring at the darkness, begging for sleep but getting nowhere. I try listening to stuff on the iPod — nothing. I try meditating — nothing. So here I am, home sick from school with a wicked headache. Bleah. Or should I say “Thy name is Lebowski”? Thanks to DVG for linking us to Two Gentlemen of Lebowski, a Shakespeare-ian retelling of The Big Lebowski, the second-best film the Coen Brothers ever made. And in case you missed the fact that my images here usually link to cool stuff, check out the video of John Turturro discussing his character in that movie. Q. You say, “Love your business more than your family.” What does your wife think of that? A. Well, she loves me, but I’m not sure she would always agree with that. I’m not saying don’t love your family. But if you don’t love your business as much as your family, your probability of success is very much lower. Sometimes you just have to put the business ahead of family considerations. A. This is my third marriage. But you have to look at it this way — it’s over 63 years. I’ve had a lot of spacing between them.